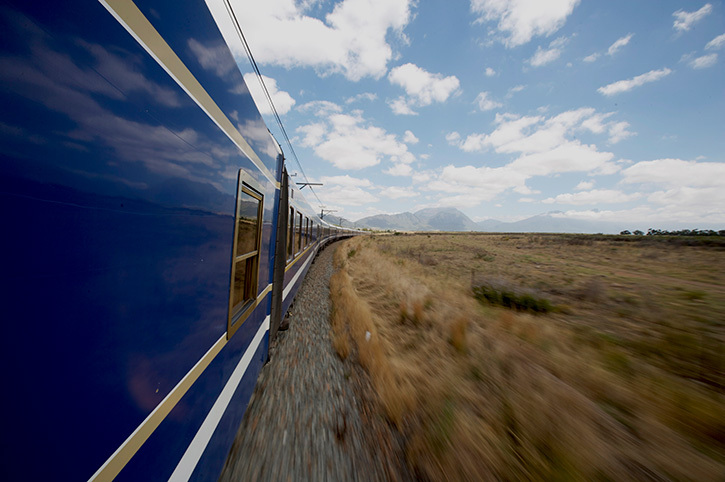 More than just a train journey, the Blue Train is an all-inclusive luxury rail experience which showcases some of the country’s most spectacular scenery. Its stylish interior and attentive service have made it one of the most famous and highly acclaimed rail experiences in the world. 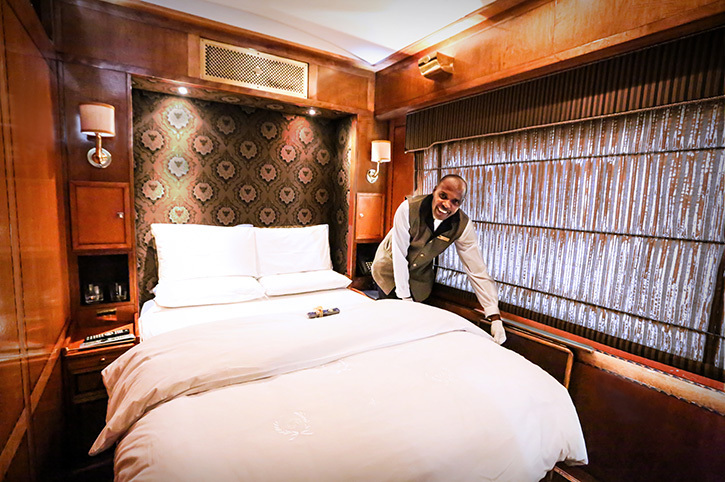 Modern conveniences include an air suspension for a comfortable night’s sleep, GPS to allow guests to follow their journey on video displays and free WiFi throughout. There is a Club Car and lounge to enjoy drinks and afternoon tea with fellow travellers in, whilst sumptuous silver service meals are served in the dining car, complimented by award winning South African wines. By day your elegant cabin acts as a private lounge, changing at night into a subtly lit ensuite bedroom with butler service. A memorable journey through some of South Africa’s most stunning landscapes, from lush winelands and impressive mountain ranges to the stark scenery of the Great Karoo. The route includes a fascinating off-train excursion to the Kimberly diamond mine and museum. This afternoon, check-in at the Blue Train Lounge at Cape Town Station where you can enjoy pre-departure snacks and drinks. Your butler will then usher you to your suite in time for the train to depart. 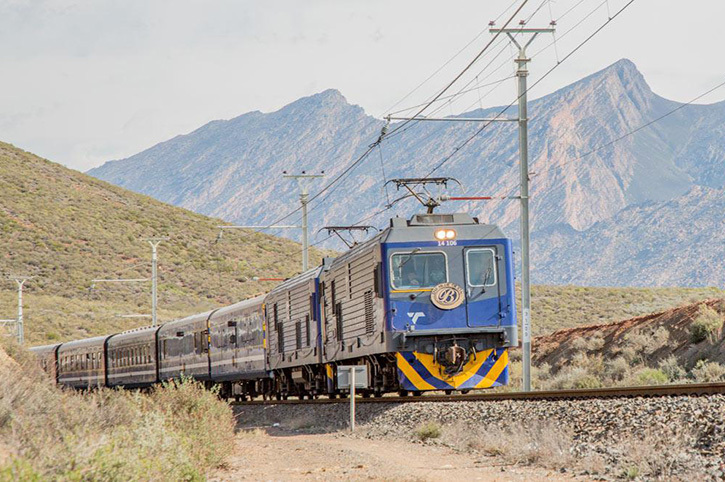 Travel through the picturesque Western Cape scenery of lush vinyards and dramatic mountains in the comfort of your luxury hotel-on-rails. 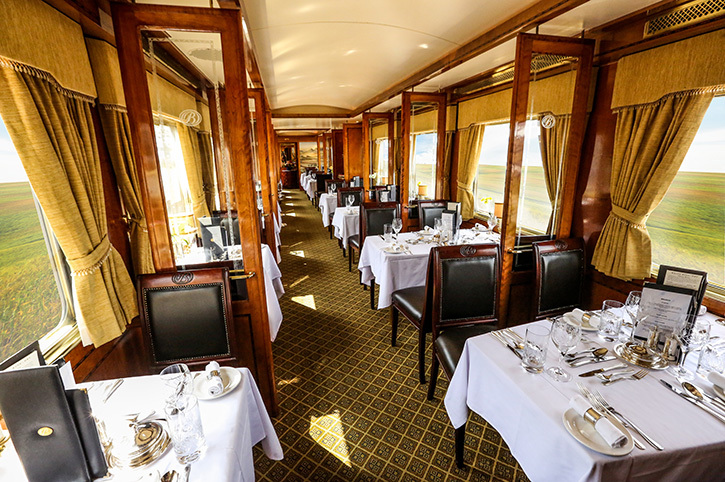 Later, afternoon tea is served in the elegant surrounding of the Lounge Car with their picture windows framing the ever-changing scenery outside. Change into your elegant evening attire for dinner where signature dishes using the freshest local indredients are served on fine china. Afterwards, enjoy post-dinner drinks in the Club Car, before retiring to your cabin. Continue through the stark but beautiful semi arid region of the Karoo whilst enjoying breakfast. 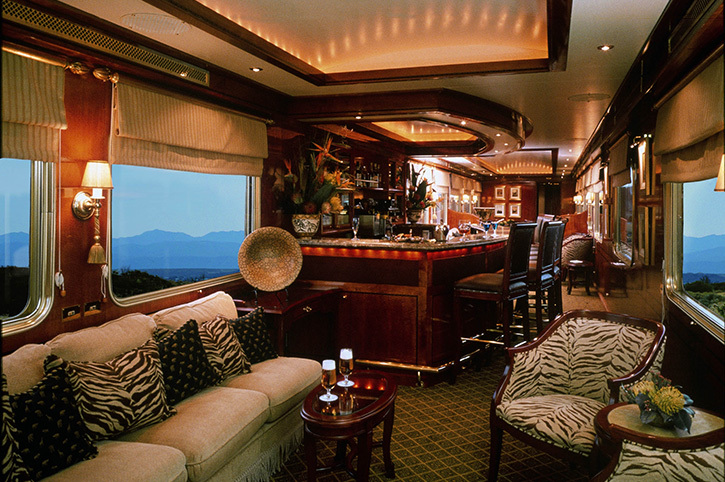 Later relax with fellow passengers in the Club Car or Lounge or simply enjoy your private suite. This afternoon the train arrives at Kimberley for an off-train excursion to the Open Mine Museum. Your guide will show you some of the historical exhibits, before visiting the impressive 215 metre deep crater known as the Big Hole. It was here that from the 1870’s, diamond prospectors carved out one of the largest hand-dug excavation in the world. On your return to the station, a glass of sherry will be waiting, before the train continues on its journey. Relax and enjoy the views before heading to the club Car for aperitifs followed by another fine dinner. 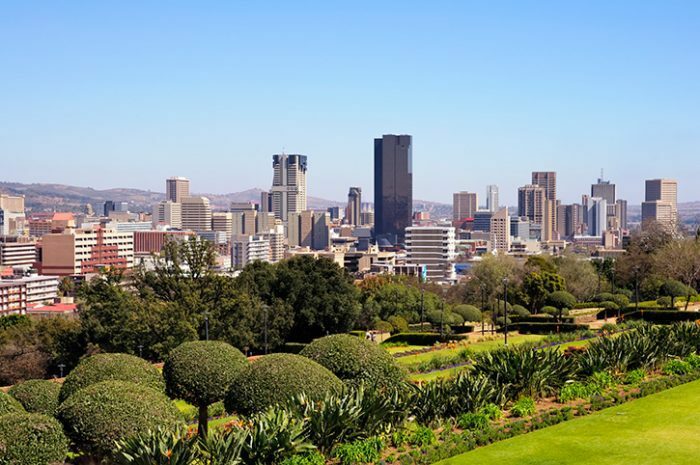 This morning enjoy breakfast at your leisure as the train approaches South Africa’s administrative capital city. 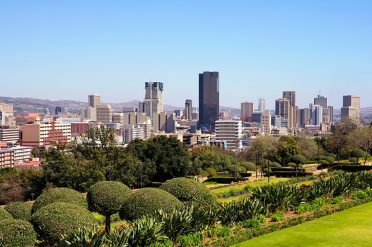 Known as the Jacaranda City, Pretoria bursts into purple bloom late in the year and this is where your magical journey ends as your bulter directs you to the arrival lounge. Enjoy a Deluxe Room as standard, complete with twin beds and a shower or double beds with a small bath, air conditioning, safe and television. Alternatively, choose to upgrade to a Luxury Room, a larger cabin with full bath and enhanced entertainment system – from £1279. Travel in luxury on the elegant Blue Train on its overnight journey from South Africa’s grand capital city of Pretoria to Hoedspuit, the gateway to the famous Kruger National Park. 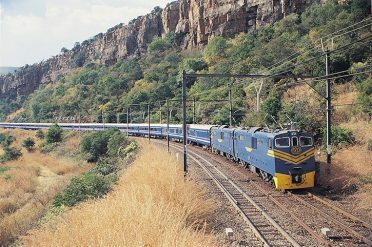 Enjoy afternoon views from your luxury cabin as the train travels across the Highveld countryside dotted with farms and steeped in Anglo Boer War history, before it zig-zags down the mountain into the Lowveld and the country’s fruit and forestry region around Nelspruit. The journey then tracks north to Hoedspruit where your journey finishes – ask your consultant to add a Kruger lodge to your holiday for an amazing safari experience. Flights not included. Speak to your Africa Expert about discounted flights available from most UK airports. Enjoy the iconic Blue Train on a journey across South Africa. Admire the changing views whilst also benefiting from the modern convenience of air suspension for a comfortable night’s sleep.